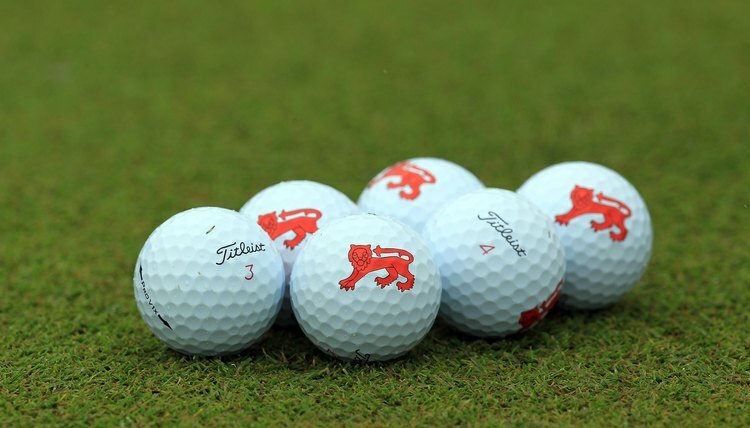 Titleist golf balls have a shelf life of five years or more. Unless you store your golf balls in an environment with an extreme temperature -- a freezer, for example, or during summer in the trunk of your car -- they will last for years. "Under normal storage conditions -- 70 to 80 degrees Fahrenheit -- a golf ball can last forever," states The Golf Professor. That's a bit of an exaggeration: If you were to tee up a ball stored at room temperature for 1,000 years, you wouldn't get the same performance as with a brand new ball. But a decade or more is a plausible time frame, especially for a two-piece solid ball, although no scientific studies have been conducted to precisely determine the shelf life of a golf ball. Two-piece golf balls last a long time. A two-piece ball has a solid rubber core with a soft plastic or ionomer cover. Ralph Peterson, research and development director for Wilson golf balls, said, "For a two-piece ball, we've really seen no changes after five to seven years." Solid golf balls are designed for golfers with higher handicaps. They tend to produce more distance, especially if your swing speed is slow. A three-piece golf ball, usually targeted at better players, features a solid rubber or liquid center surrounded by elastic windings and a Surlyn or balata cover. "Three-piece wound balls are a bit different because they go through stress relaxation of the windings, " said Peterson, adding that they should last "a couple of years." GolfBallTest.org debunks a myth about golf ball storage: "Storing golf balls in the freezer is never recommended and does not preserve their compression and freshness, contrary to some belief," In fact, playing with cold balls will sap your drives of their normal distance. So keep your balls in a cool, dry place and they will last for awhile. The golf ball researchers at Titleist state, "Today's Titleist golf balls can be safely stored for five years or even more, as long as they are kept away from excessive heat. ... Normal indoor conditions should be fine for storage." Even if you can store golf balls for a years without a loss of performance, you might be disappointed in their performance when you take them to the golf course. That's because golf ball manufacturers are continually looking for cutting-edge methods to improve the performance of their balls. If you play balls that were manufactured years ago, you likely are missing out on some technological improvements in newer balls. The Golf Professor: Golf Ball Reviews Has Revealed Some Startling Facts!